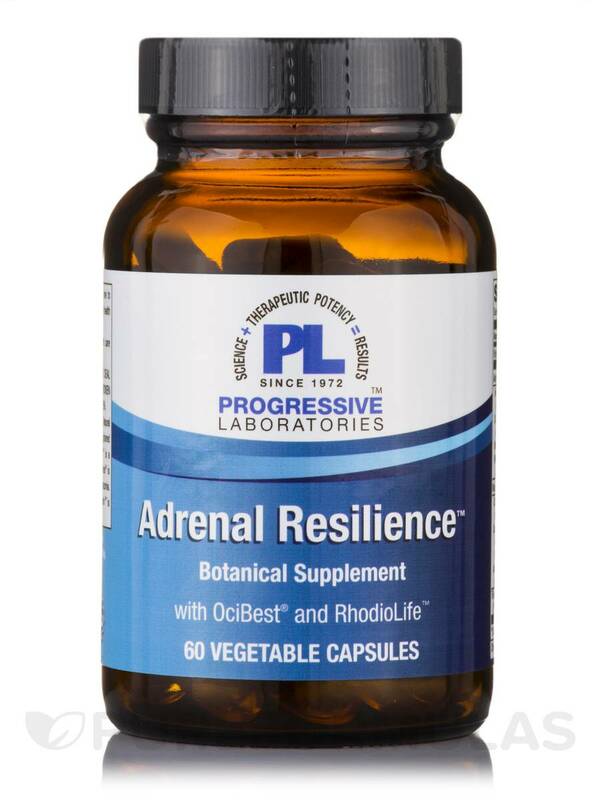 Adrenal Resilience™ is designed to restore and encourage natural balance‚ or homeostasis‚ through its effects on the HPA axis and other related systems. 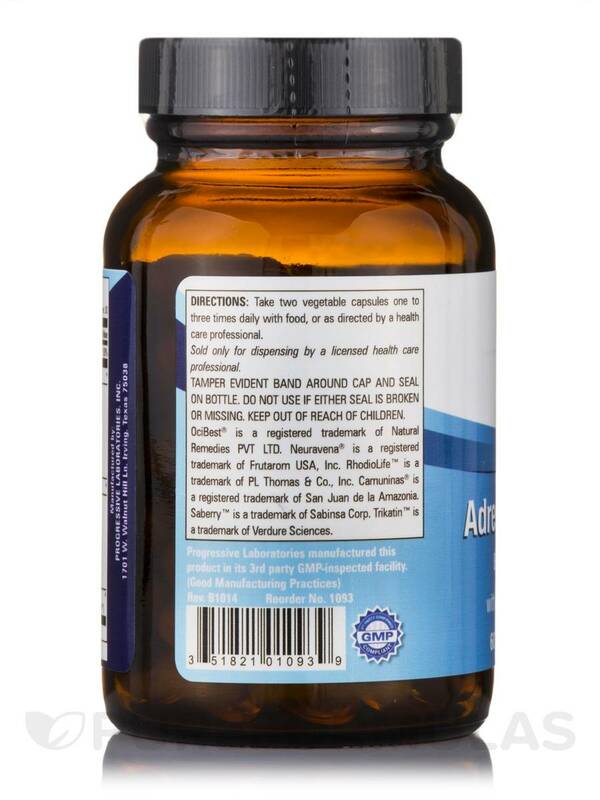 Adrenal Resilience™ is an innovative formulation that skillfully blends ancient tradition with modern science to bring relief from the stresses of everyday life. 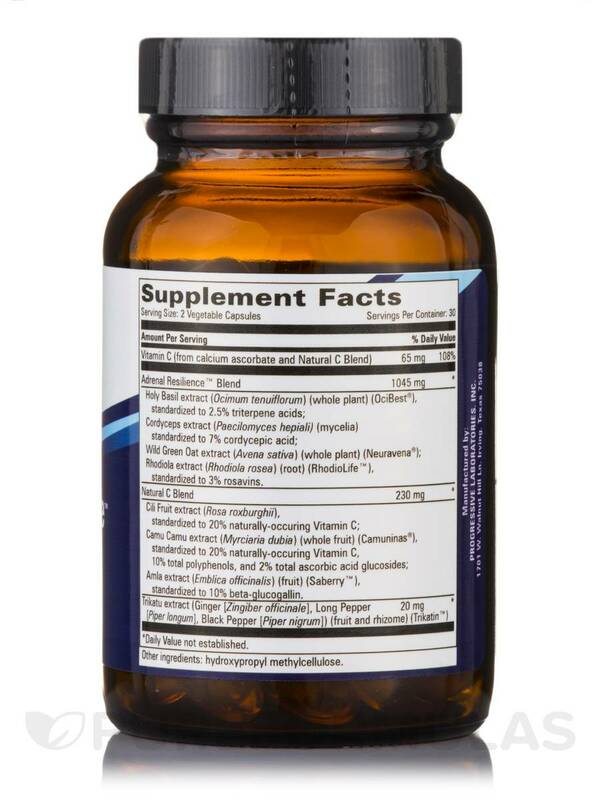 Holy Basil extract (Ocimum tenuiflorum) (whole plant) (OciBest®)‚ standardized to 2.5% triterpene acids; Cordyceps extract (Paecilomyces hepiali) (mycelia)‚ standardized to 7% cordycepic acid; Wild Green Oat extract (Avena sativa) (whole plant) (Neuravena®); Rhodiola extract (Rhodiola rosea) (root) (RhodioLife™)‚ standardized to 3% rosavins. 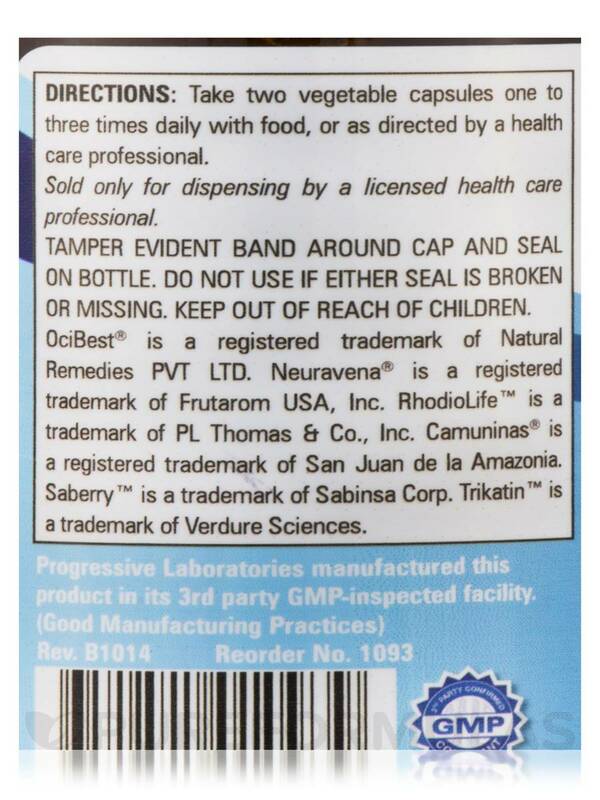 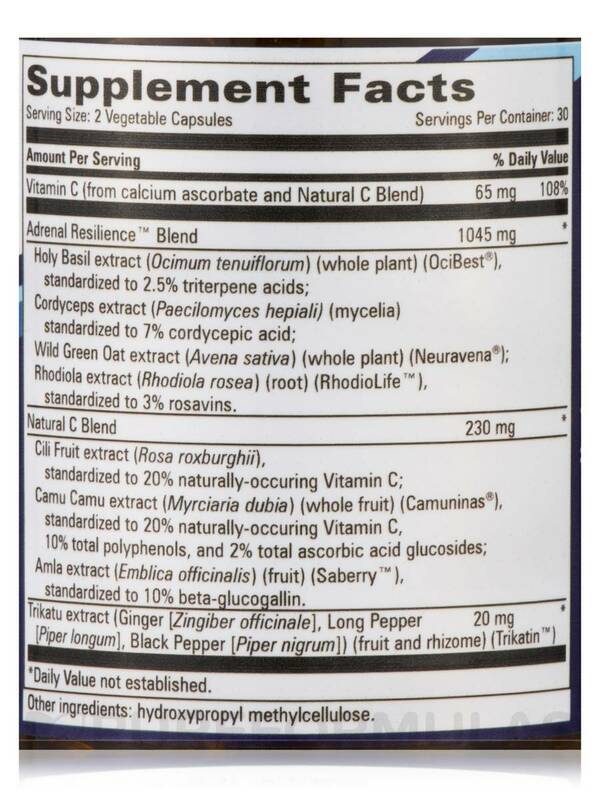 Cili Fruit extract (Rosa roxburghii)‚ standardized to 20% naturally-occuring Vitamin C; Camu Camu extract (Myrciaria dubia) (whole fruit) (Camuninas®)‚ standardized to 20% naturally-occuring Vitamin C‚ 10% total polyphenols‚ and 2% total ascorbic acid glucosides; Amla extract (Emblica officinalis) (fruit) (Saberry™)‚ standardized to 10% beta-glucogallin.